Giorgio Armani's Spring '19 show was an otherworldly affair - the iridescent detailing on dusky, muted pastels felt so whimsical and mermaid-inspired. 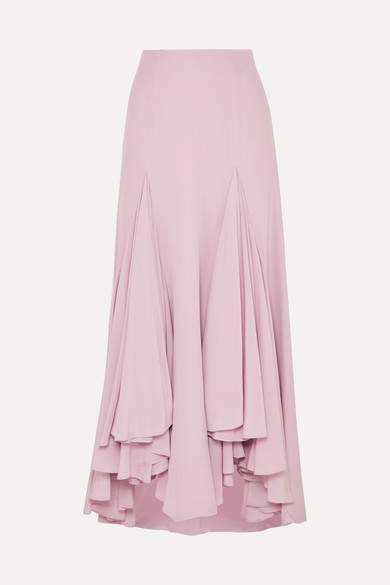 Crafted in Italy from swathes of silk-crepe, this 'Waterfall' skirt has asymmetric ruffles made for movement. Channel the brand's styling and match yours with tonal or metallic accessories.